If you're being driven mad by the shrill, intermittent beeping of your smoke alarm, it's probably trying to tell you something. Read on to learn what it's saying, so you can figure out how to make it stop. If there have been nationwide polls conducted to determine what drives homeowners the most crazy, I would bet that beeping smoke detectors rank high on that list. As annoying as a smoke detector beeping can be, the most common cause is a low battery—a problem you can remedy without any hassle. It doesn’t matter whether the alarm runs entirely on batteries or is hardwired and has a battery backup—either way, you’re going to hear chirping when the battery goes dead. But what do you do if you’ve replaced the battery and the smoke detector keeps on beeping? If the smoke detector is beeping irregularly, with no discernible pattern, it’s probably not the battery. It could be—brace yourself—that a spider has made itself cozy inside the alarm. Screw up your courage, take the cover off the device, and then use a can of compressed air to blow out any cobwebs that’ve gathered there. Another common cause of a smoke detector’s beeping is a sharp variation in temperature and/or humidity. If the smoke alarm sits in an unconditioned part of your home—the attic, for example—it may be that in the winter, as the temperatures dropped, the battery became too cold to reliably deliver an electrical charge. Yet another possible explanation: If it’s the type of smoke detector that goes off when something—ash, pollen, or dust—interrupts a small beam of light housed within the device, then even something as innocuous as an open window could be to blame. Consider cleaning the unit, being sure to follow the manufacturer’s instructions. Sometimes, a smoke detector beeps so loudly that even if the sound seems to be coming from one spot, it may really be emanating from somewhere else in the home. Folks have been known to spend hours fussing with one smoke detector only to discover that the culprit was a smoke detector located in, say, the attic right above the alarm they’d been focused on. It’s possible the beeping isn’t even coming from a smoke detector. Could it be that your carbon monoxide alarm was unplugged or that part of your home security system needs attention? 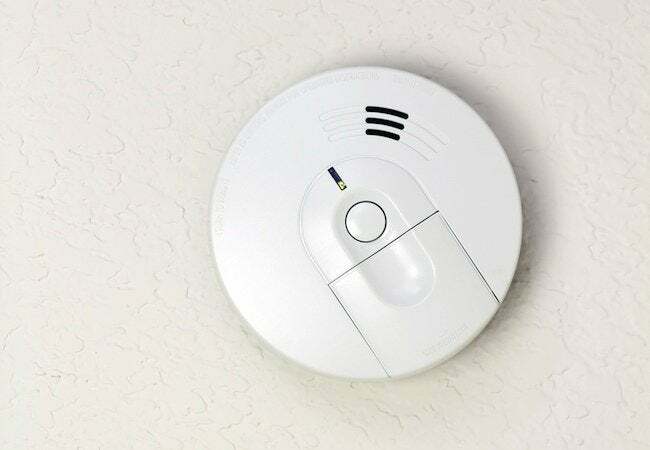 Before concluding that a smoke detector is to blame, consider whether you have any other alarms in the house capable of producing a similarly ear-piercing beep. If you’re dealing with a hardwired model, first try the suggestions above, but if the smoke detector continues to beep, then it’s time to visit the electrical panel. Look for a breaker labeled “smoke alarms” or “central alarm.” Toggle the breaker into the off position, wait a couple of minutes, then toggle it again to restore power. If the alarm does not resume its beeping, you’ve most likely solved the problem by resetting the device. To confirm, push and hold (for a few seconds) the test button on the face of the detector. If the alarm sounds a few times and then goes silent, that means it’s back to working order. Finally, how old is the smoke detector? Most manufacturers design their products to last for about 10 years. After a decade of service, some of the alarm’s components may no longer be functioning properly. 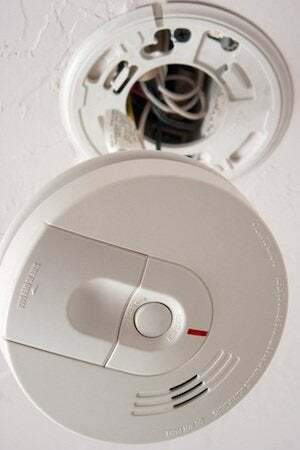 The smoke detector itself, and not its battery, may be what needs replacement!